Of course, like the original Clouser Minnow, it's a staple smallmouth and largemouth fly but this version goes way beyond. Talk about a versatile fly!!! The Mojo Minnow is basically a flash clouser tied in a couple of great colors. It is tied with an Angel Hair type flash material that not only looks great, but moves great in the water. This is one of the hottest new flies of the 2017 season. Of course, like the original Clouser Minnow, it's a staple smallmouth and largemouth fly but this version goes way beyond. Stripers, wipers, trout, salmon, walleye, saugeye......you name it, this fly will catch it! An excellent choice for largemouth and smallmouth in lakes. The Emerald Shiner ESPECIALLY killer up on Lake Erie in our neck of the woods. 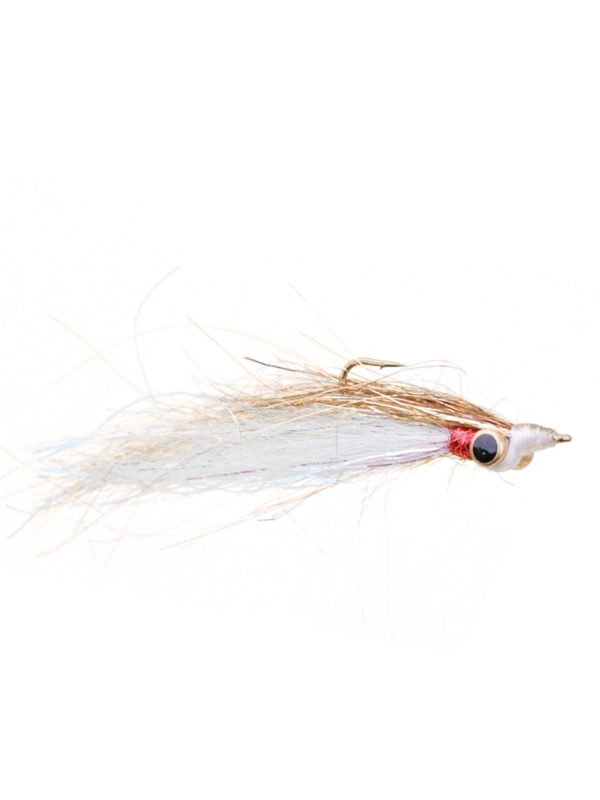 The Mojo Minnow streamer sold here in the Golden Shiner color and is tied on a size 4 hook. This fly is approximately 3 3/4" long.